Over 70,000 A.B.S. 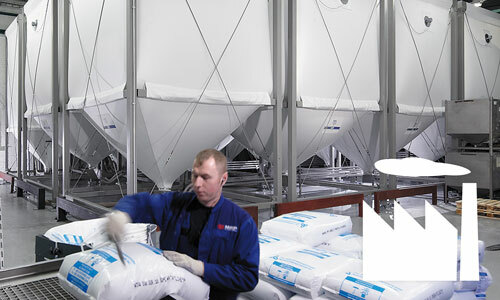 silos made of flexible and highly sturdy, high-tech polyester fabric have been installed in many countries in that time. A.B.S. develops tailor-made solutions for all questions of the handling of bulk goods relating to the storage, conveying, metering and discharge of bulk goods. It can draw on many years of experience and in-depth experiments at its technical school. Because every bulk good requires an individual solution due to its specific characteristics: From development, planning and design to expert assembly, commissioning and service.